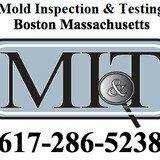 Looking for a Mold Inspection Company in Boston? Look no further because Mold Inspection & Testing is the largest and most trusted test only company around. If you are concerned that mold growth is causing indoor air quality issues at your home or business, it is important to use an inspector separate from the restoration process. Doing so will ensure that the assessment is unbiased.